This project was a labor of love. 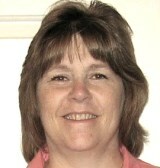 I had just lost my mother a few years earlier and was still really missing her. She loved pansies, and as children my sister and I would pick her bouquets of them. She said they had such cute smiles! I was fairly new at working with stained glass and very new at using Glass Eye 2000, so I dug in and started playing with the software. I soon found out how valuable it could be. I am not an artist, hardly able to draw a straight line, much less a perfect circle. 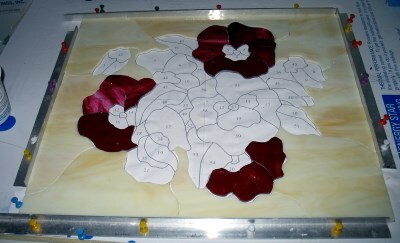 But with Glass Eye 2000, I could trace a picture of a pansy, then I could manipulate it by rotating, tweaking the petals, overlapping petals, deleting lines and adding leaves to come up with a beautiful bunch of pansies. There is another benefit of Glass Eye 2000. Each time I opened the file to look at the progress of my design, I would find something I wanted to change or try, so I would "Save As" and name it pansy1, pansy2, and so forth. I ended up with seven versions until I was satisfied. 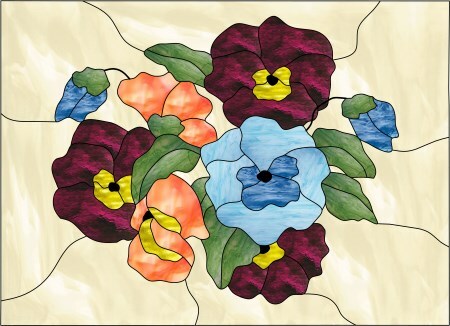 And best of all, I loved the ability to color the pansies, changing them until I had just the right color scheme! Picking out the glass for me seems to be the hardest part — there are so many choices. On this project I was looking for a more opaque look. I wanted to put it in a bathroom window, so I wanted some light, but not be able to see in. 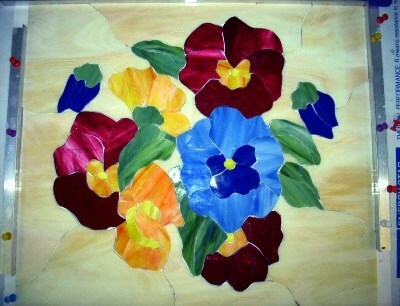 And in memory of my mother Mary Ann, the pansies are finished! 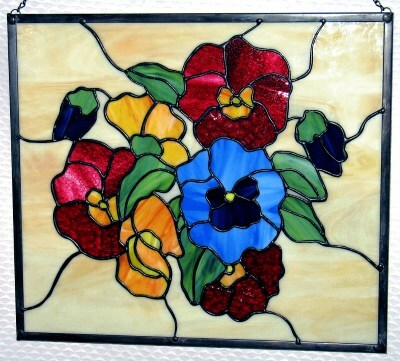 Shelly Begg lives in Minnesota and started stained glass around ten years ago. She took a class to learn the finer art of soldering and that was all it took for her to get hooked on glass. 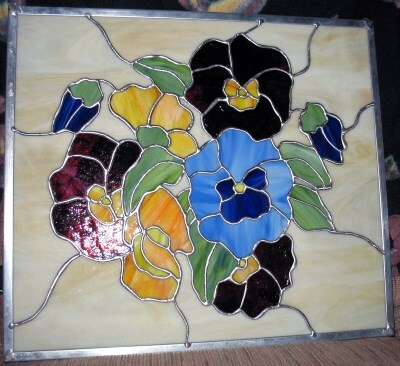 She has a small home studio where she designs and produces stained glass art for friends, family and for sale. Shelly and her husband Dave spend as much time as they can at a lake resort in the summertime. Her business is growing, taking up more and more of her time, but Dave has informed her that he is not buying another camper just for her glass work! Her grandkids are even beginning to get the glass bug. She's had help from three of them so far, and her youngest (age 8) recently explained what she wanted Grandma to design for her and the idea turned out very cute. More glass artists in the making!